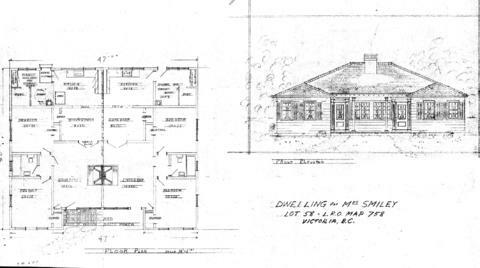 File 1-0026 - Dwelling for Mrs. Smiley, Lot 58, L.R.O. map 758, Victoria, B.C. 2 architectural drawings : blueprint ; 43 x 78 cm or smaller.